One of the new Hyundai Rotem rail cars sat at South Station earlier this month. A long-awaited fleet of MBTA commuter rail cars, delivered 2½ years late by the South Korean manufacturer, is now so plagued by mechanical, engineering, and software problems that it has to be shipped to a facility in Rhode Island to be fitted with new parts. “In my 40-some years of railroad experience, we’ve never seen problems like this,” said Tom Murray, president of the local chapter of the Transport Workers Union of America. But Massachusetts Bay Transportation Authority officials say the problems — including issues with doors, air-conditioning, brakes, and signal software — are a normal part of introducing new, more technologically advanced train cars into a transit system. Harry King — spokesman for Hyundai Rotem, the South Korea-based contractor that delivered the new cars 2½ years behind schedule — said the company is working to fix the problems, investing significant resources and dispatching a full-time contingent of staff to the T’s Somerville maintenance facility to solve the problems. “These problems have either been resolved or soon will be,” he said. The MBTA’s $190 million purchase of 75 commuter rail cars from Hyundai Rotem USA was controversial from the start, as T officials in 2008 insisted that the lowest bidder would be able to deliver good-quality cars on time, even though the company had yet to open an assembly plant in the United States. After T officials’ consternation over what they called “chronically unsatisfactory performance,” threats to cancel the order, and a visit to executives in South Korea, the first cars arrived last spring. Since then, T officials have insisted publicly that the cars were delivered in fine working order, pleasing customers with nice interiors and comfortable seats. At least 56 of the cars have been delivered, with the rest set to arrive by this summer, and T officials say 32 of the cars have been put into service. At a Massachusetts Department of Transportation board meeting in November, MBTA general manager Beverly A. Scott said she gave the cars “a 7.5 or an 8” out of 10 but said the problems — a minor toilet issue, for example — were few and fairly mundane. “Probably the stuff wouldn’t be noticeable to anybody but us,” Scott told the MassDOT board of directors. But employees who work on the commuter rail cars say they are rife with problems, ranging from faulty heating and air-conditioning units and door motors to poorly constructed undercarriages and problems with brakes and the software that controls signal communication in the cab of the train. Some of the problems have surfaced in tests, and some continued to exist after the cars were put in service, MBTA officials said. The problems have required the attention of at least 15 Hyundai Rotem staff members who have been working on the cars full time at a T maintenance facility in Somerville — not an unusual part of the process of introducing new cars, transit experts say. But what is unusual is that the cars, even those that have already begun carrying passengers, will have to be taken out of service in coming months to receive new parts at a facility in Rhode Island. Some of the problems center on the control cars, which are designed to be driven by engineers at the front of the train. The cars cannot be used on rail lines owned by Amtrak, which run south of Boston, because the car’s software is incompatible with the signal system. In some instances, signals inside the train indicate that the engineer has the OK to proceed when outside signals indicate that the train must wait. In those cases, engineers noticed that the signals did not match up and reported the problem. As a result of the signal issues, on much of the commuter rail system, the new Hyundai Rotem control cars are being used behind the locomotive to carry passengers, rather than lead the train, the MBTA says. The problems have caught the attention of the Federal Railroad Administration, and officials say they are keeping an eye on the T’s handling of the new cars. In a phone call from the Hyundai Rotem assembly plant in Philadelphia, where he visits monthly to check the progress of the remainder of the T’s order, MBTA chief financial officer Jonathan R. Davis said he is aware of the mechanical problems, but is confident they will be resolved. The terms of the T’s contract with Hyundai Rotem say that the company is responsible for paying for all repairs and maintenance work in the first two years after the cars officially enter the T’s fleet. Though the T has the option of sending the cars back if they are deemed unfit for use on the rails, Davis said he has no intention of taking that step. King, of Hyundai Rotem, said assertions that these cars are more problematic than others introduced to the T’s fleet in the past are because commuter rail cars, in general, contain more complicated technology. “These modern commuter rail cars are complex and exacting machines,” King said. 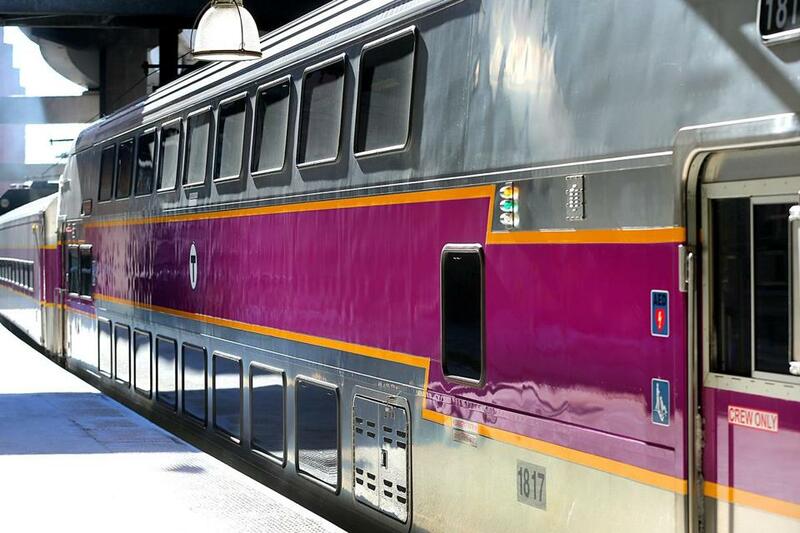 Commuter rail workers acknowledge that the new cars are much more technologically advanced, but said that did not explain all of the problems they have seen. Not everyone agrees that the issues are as serious as the rail workers say. Alan G. Macdonald, a member of the MassDOT board, said the complaints from workers may be exaggerated. But Jonathan H. Klein, a former chief mechanical officer at Amtrak and the Southeastern Pennsylvania Transportation Authority, said taking the cars out of service to replace major parts at an out-of-state facility is a different order of magnitude. “If cars have to be taken wholesale back to another factory site for reworking, it is a definite sign that the manufacturer has lost control of its quality, its configuration and safety management, and its delivery organization, or all three,” Klein said. “The T made an obvious mistake in awarding a contract to Rotem,” Klein said. In Philadelphia, officials at the Southeastern Pennsylvania Transportation Authority have experienced similar problems with the 120 cars they received from Hyundai Rotem between 2009 to 2013. Six issues were flagged for unacceptable performance, spokeswoman Jerri Williams said: doors, the heating and air-conditioning system, propulsion, brakes, signals in control cars, and auxiliary power systems. Now after extensive work with Hyundai Rotem, Williams said, almost all the issues have been resolved, except for the doors. On some trains, doors that malfunction must be locked, and passengers are told to enter and exit through adjacent cars.